Obtaining another Maryland medical marijuana sentence, this time for paraphernalia | Jon Katz, P.C. On December 6, 2010, I blogged about my past success with Maryland’s medical marijuana law and with getting misdemeanor dispositions on multiple marijuana plants on the basis of growing or medicinal use. Last week, I obtained another Maryland medical marijuana sentence of a $100 fine. I obtained this result on both the heels of 4/20, and right after Maryland’s legislature passed a law enabling medical necessity to preclude a marijuana and paraphernalia possession conviction. The new Maryland law awaits the governor’s signature; the law likely will not take effect until this fall unless an exception is made to make it effective earlier than that. In last week’s case, my client was caught with a small amount of marijuana after being stopped for a moving violation. The necessary witnesses arrived timely to court (sometimes witnesses do not arrive at all, which is critical to check). 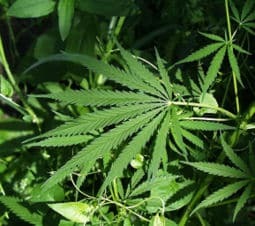 With original exposure to a marijuana conviction, my client proactively got an evaluation from a medical doctor who provided a detailed written opinion that my client’s marijuana use at the time of arrest, through present, was for medical necessity, which is essential to prove for obtaining a medical marijuana sentence. The doctor’s opinion stated that my client’s marijuana use was both for serious back pain and serious depression. With funds being limited for many criminal defendants, some may wish to first wait to see if they are found guilty and to ask to postpone sentencing before paying a physician to render an opinion about medical necessity for marijuana use. That does, however, risk a judge’s refusing to delay the sentencing date. Another option is to reserve paying for such an opinion until at the de novo appeal stage from Maryland District Court to Circuit Court. The problem about waiting for a de novo appeal is that a probation before judgment — if sought and obtained — precludes a de novo appeal, and a defendant starts from square one in a de novo appeal to Circuit Court. For those without funds to obtain a physician’s medical marijuana opinion, regardless of the circumstances or timing, the defense lawyer still has the option of seeking such a disposition by providing testimony of the defendant — and possibly close friends and family members — at sentencing, hopefully some supporting medical records, and articles and other states’ laws showing the medical benefits of marijuana for the defendant’s particular physical or psychological ailment(s). Here, armed in advance with a physician’s medical necessity opinion, I convinced the prosecutor to reduce the marijuana possession charge (which carries up to one year in jail) to a marijuana paraphernalia possession charge (which carries up to a $500 fine for a first paraphernalia offense (which this was), but up to two years in jail for a subsequent paraphernalia conviction) plus payment of the moving violation citation. Maryland’s medical marijuana sentencing only applies to possessing marijuana and marijuana paraphernalia, so it was essential that I made clear on the record that the paraphernalia was marijuana paraphernalia, versus a crack pipe, for instance. At sentencing, I presented the judge with my client’s physician’s medical marijuana opinion, and a report from my client’s psychologist about his depression. The judge took the time to read through both documents, and entered a medical marijuana sentence without hesitation. Why bother seeking a medical marijuana sentence on a non-jailable paraphernalia disposition? First, my client now has a record of having a medical marijuana disposition, which might look better for such collateral matters as employment, versus a mere conviction. Second, if my client ever gets charged and/or convicted for marijuana possession in the future, the medical marijuana disposition might assist with negotiations, and in obtaining another medical marijuana disposition. Also, some judges in Maryland impose probation periods for non-jailable paraphernalia convictions, and then cause defendants to be detained on bench warrants for alleged violations of such probation (although I contend that such arrest warrants are unconstitutional). A medical marijuana disposition precludes probation from becoming part of the equation. With Maryland and the District of Columbia moving forward on medical marijuana, it is time for neighboring Virginia to join the train, and ultimately for the federal government and the non-medical marijuana states to get on board.